Potentially great news coming out of the North West region for investors in new rented properties. The governments private rental scheme is starting to take hold with developers seemingly keen to consider investment in the area. For me it is about feeding the whole property chain. PRS should help attract those looking to get on the bottom of the ladder. However, can the government work with developers in attracting second time and above buyers. Sure, Right to Buy stimulated growth but, from what I have understood, one issue is that has kept people in social housing properties longer, leaving those in desperate need without options. So will the refreshed scheme stimulate the market further up the chain? A £21m multi-storey apartment block in Princes Dock in Liverpool will be Peel Land and Property’s first private rented sector development project. The 85,000 sq ft building – bought by Liverpool-based Regenda – will comprise 105 one and two-bed apartments to be managed by Regenda’s subsidiary PRS company Redwing Living. There will also be commercial space on the ground floor. It is likely to be called ‘Plaza 1821’, commemorating Princes Dock’s opening on the day of the Prince Regent's coronation as George IV in 1821. 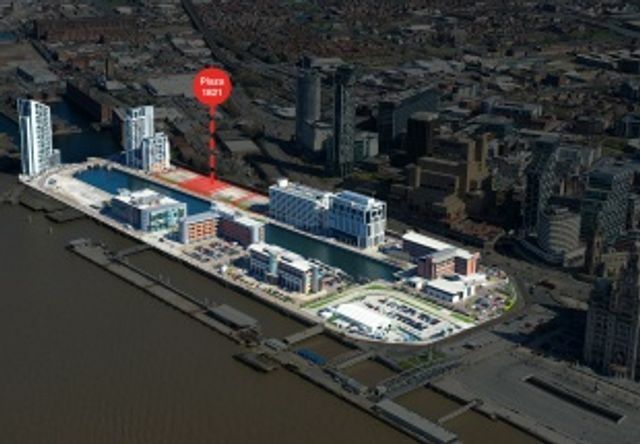 The development forms part of the wider £5 bn redevelopment of Liverpool Waters.